``NetHack Code Utility (pseudonym)'' is Emacs-Lisp file for handling NetHack Code 1.1. You can generate/edit NetHack Code, and use it as X-NetHack Code mail header. Generate NetHack Code interactively, and save it as file (default is ~/.nh-code). Remove one NetHack Code from your ~/.nh-code file. Insert your ~/.nh-code as X-NetHack-Code mail header. 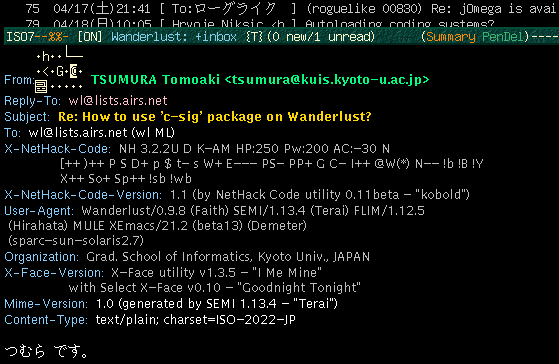 In summary mode of Gnus, Wanderlust, Mew, MH-E, cmail, VM, RMAIL, you can decode/view X-NetHack-Code in present message. 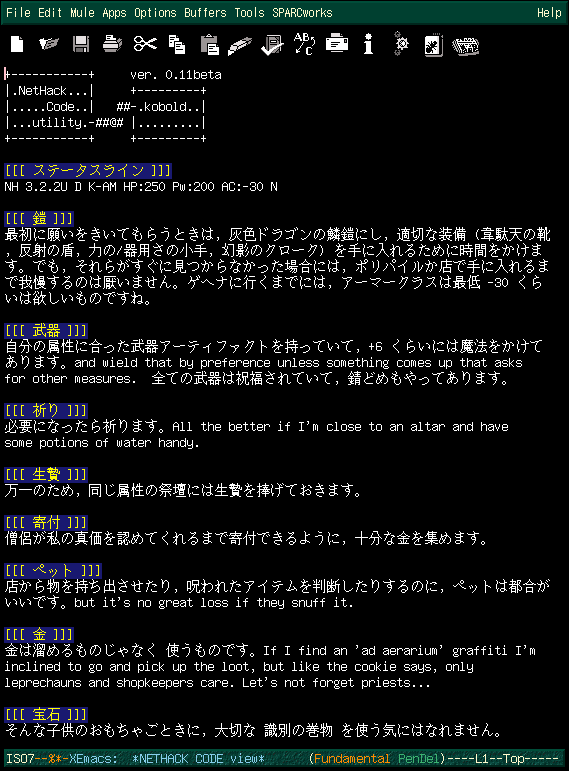 Decode/view the region as NetHack Code. Can't decode status line, now. Only Japanese Info is available.